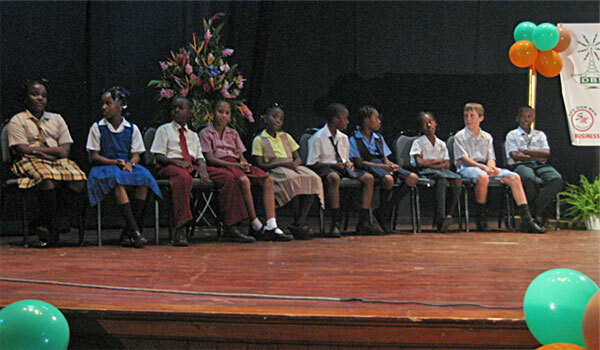 The 2008 National Reading Competition, Dominica’s First! 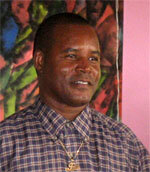 This initiative was the brainchild of Mr. Felix Henderson, a popular radio personality here in Dominica. Together with “Uncle Pawol” Alex Bruno and the rest of the DBS Team, this core of dedicated individuals has put together a unique event that is sure to be repeated next year. With sponsors both locally and internationally, the reading competition seemed to take on a life of its own, gathering momentum with each subsequent Round of Reading. The Grand Finals were held at the Arawak House of Culture on Friday, July4th 2008. The children read to a packed house. Dignitaries such as the Honourable Prime Minister of Dominica Mr. Rooselvelt Skerrit, Acting President His Excellency Conrad McIntyre, Minister of Education Hon. Vince Hendereson as well as other memebrs of cabinet. Performances by Calypsonians, Hunter, the Observer, and Daryl Bob, as well as a News Reading Segment in braille were highlights of the evening’s event. Diane Robinson – Marigot Jr.
A big congratulations to all ten finalists! Congratulations to all the Participants, Organisers anad Sponsors for putting on a fantastic, positive event for Dominica’s youth and the entire nation. Its really good and lovealbe thing. May I get detailed information / website of the host of this reading competition?